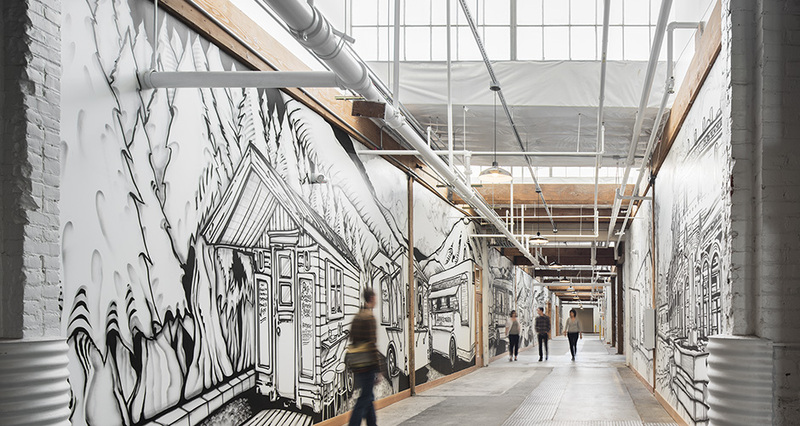 The Iron Fireman building, right off the MAX Orange Line in southeast Portland, has a rich local history. Through an extensive renovation project, Mackenzie is bringing the building’s history—and its gorgeous period details—back to the surface. 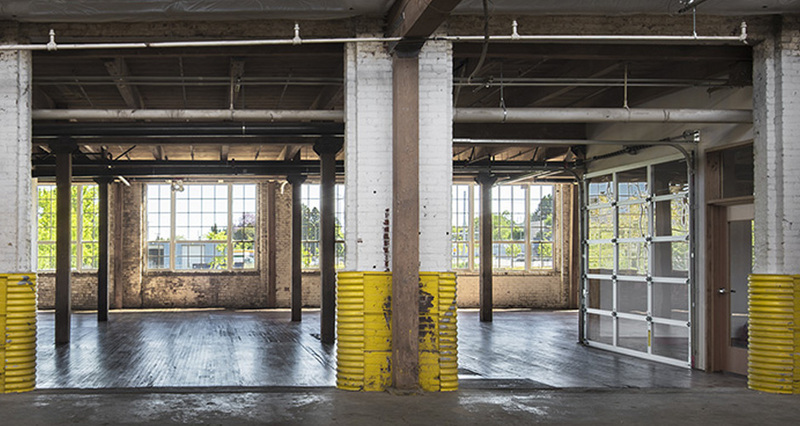 The restored building will not just reflect the neighborhood’s past, but is positioned to become an active influence on Portland’s burgeoning maker culture: things have always been made within the Iron Fireman’s walls, and while what’s manufactured has changed, the fact of making hasn’t. The building was constructed in 1924 for the Iron Fireman Company, a manufacturer of residential furnace parts. The company found success through an innovative stoker for coal furnaces, and they would go on to great midcentury success: Portland’s Banfield Expressway is named for one of the founders. 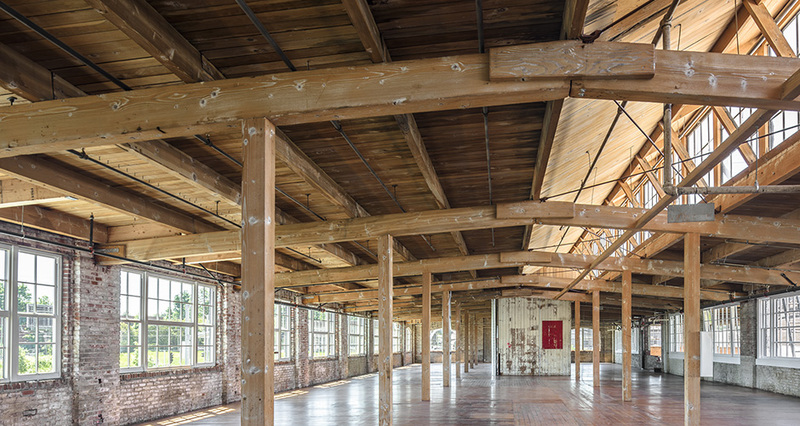 The project restored the building’s historical character, while simultaneously creating a modern maker space for small businesses, artisans, and light industry. 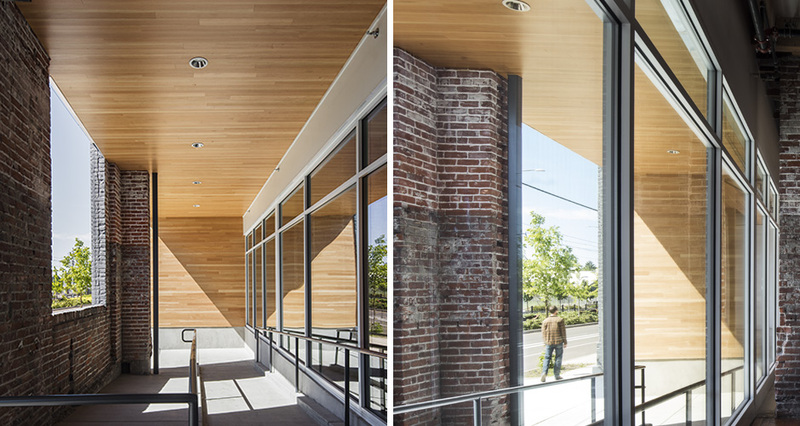 A handsome reflection of the era in which it was built, the building features large old-growth timber beams, wood paneling, and huge windows that are being restored to their original size. 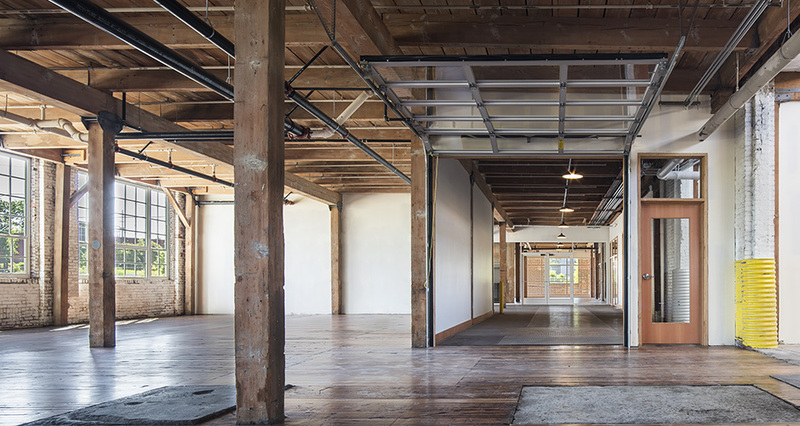 The building has an atmospheric mix of the maker culture that drives modern Portland, and the wood and metal of the neighborhood’s industrial roots.